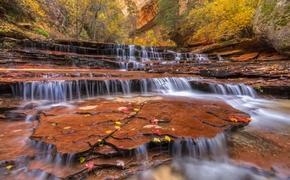 According to the World Travel & Tourism Center, Africa is the second-fastest growing tourism region in the world. While the World Travel & Tourism Center attributes a lot of the continent's growth to Egypt’s tourism sector bouncing back and Ethiopia’s fastly growing travel economy, we’ve noticed a contributing factor to the continent’s success: women. Women comprise about 30 percent of employees at Ethiopian Airlines. "The role women play in our company is immense. They contribute to the airline's position as a leading carrier," said Tewolde Gebremariam, Group Chief Executive Officer. In 2015, the airline celebrated the first all-female functioned flight out of the continent on the Addis Ababa to Bangkok route, and have since done all-female crew flights to Kigali, Rwanda, Lagos, Nigeria, and Buenos Aires, Argentina. In 2019, the airline had an all-female operated flight on International Women’s Day, in which every position from the flight deck to the ground persons, flight dispatch, ramp operation, load control, on-board logistics, safety and security, airport operations, catering and traffic control were all managed by women. 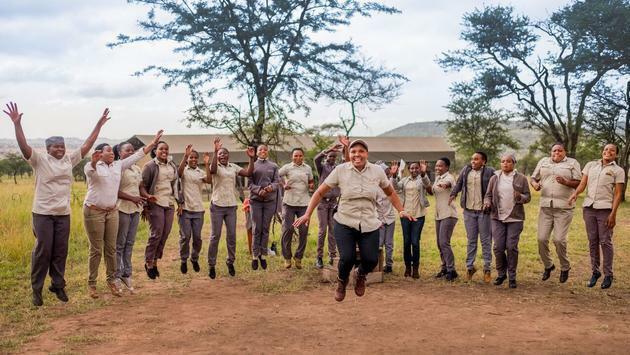 General manager, Angel Vendeline Namshali has assembled an almost all female staff (there are two male drivers) at one of the Northern Serengeti's most popular properties, Dunia Camp. Women manage almost every position an can be found in various roles like groundskeepers, the chef and even the mechanics. The Chobe Angeles is Africa’s first all-female safari guide team made up of 14 women and recruited in 2005 by Botswana’s Chobe Game Lodge. The Chobe Angels paved the way for the growing number of female safari guides in Botswana and currently are the exclusive guides of Chobe Explorations’ mobile safari unit through the Okavango Delta. While there is still a long way to go in terms of gender equality among guides in Africa, it’s great to know that women are entering these fields more and more, as clear from the Kenyan Professional Safari Guides Association which estimates that 300 of Kenya’s 4,000 guides are women. In 2014, four women made the cut for the Virunga National Park’s ranger team. Today there are 14 women who guard Africa’s most diverse national park and the 300 mountain gorillas who live there. As one of the most dangerous jobs in wildlife (150 Virunga rangers have been killed in the line of duty since 1996), these 14 women are prepared to encounter armed poachers, looting and illegal invasion of the national park. 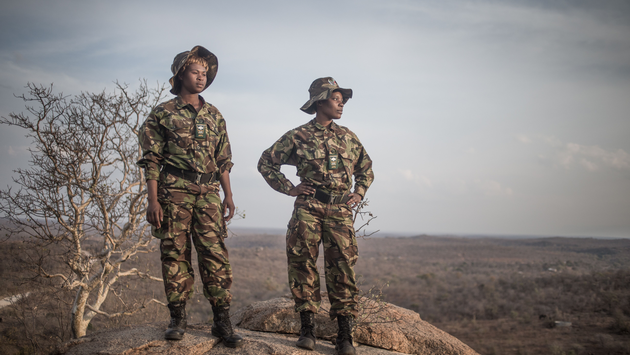 Similarly as impressive are the Black Mambas Anti-Poaching Unit, the only majority female anti-poaching unit in Africa. This mostly-female unit protects 50,000 hectares in five different regions of Olifants West Region of the Balule Nature Reserve in South Africa. The Mambas’ main objective is the security of the Reserve and protection of its wildlife. Through protecting the environment and educating the local communities, it’s no wonder that they’ve received numerous accolated like the United Nations’ Champion of the Earth Award. Many women are rising in the ranks of Africa's tourism industry and taking on some fantastic leadership goals. 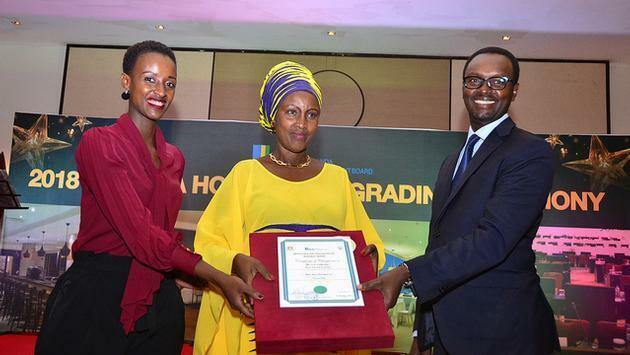 Women like Devota Mdachi, the Managing Director of the Tanzania Tourist, Dr. Betty Radier, the Chief Executive Officer of Kenya Tourism Board Learning and Belise Kariza, the Chief Tourism Officer of Rwanda are leading the way for other women by setting an example in some of the most prominent leadership roles in Africa's tourism boards. They're joined by other fantastic African women in the hospitality industry like Rosemary Mugambi, the Director of Sales and Marketing at Serena Hotels which manages 11 properties in Tanzania and Kenya, and Vickie Muyanga, the Regional Director of Sales for East and Central Africa at Radisson Hotel Group. Josephine Rururangwa is just as impressive as the Head of Africa Expansion and Airline Partnerships for Wakanow.com. Whether they're protecting the environment or leading the way in tourism efforts, the women of Africa are behind some of the greatest successes of Africa's tourism industry.